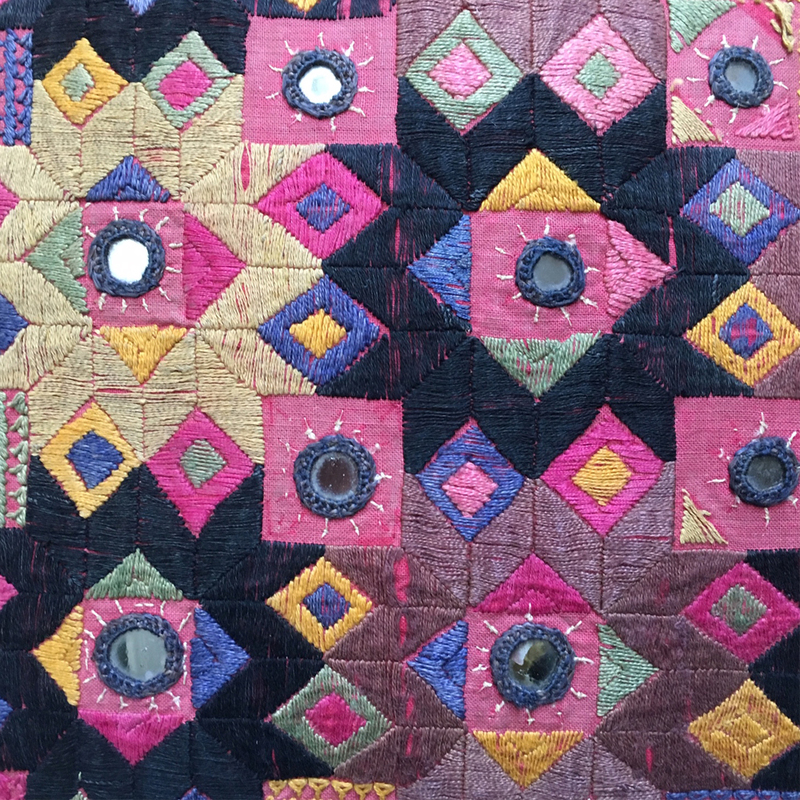 Category: Kutch Collection. 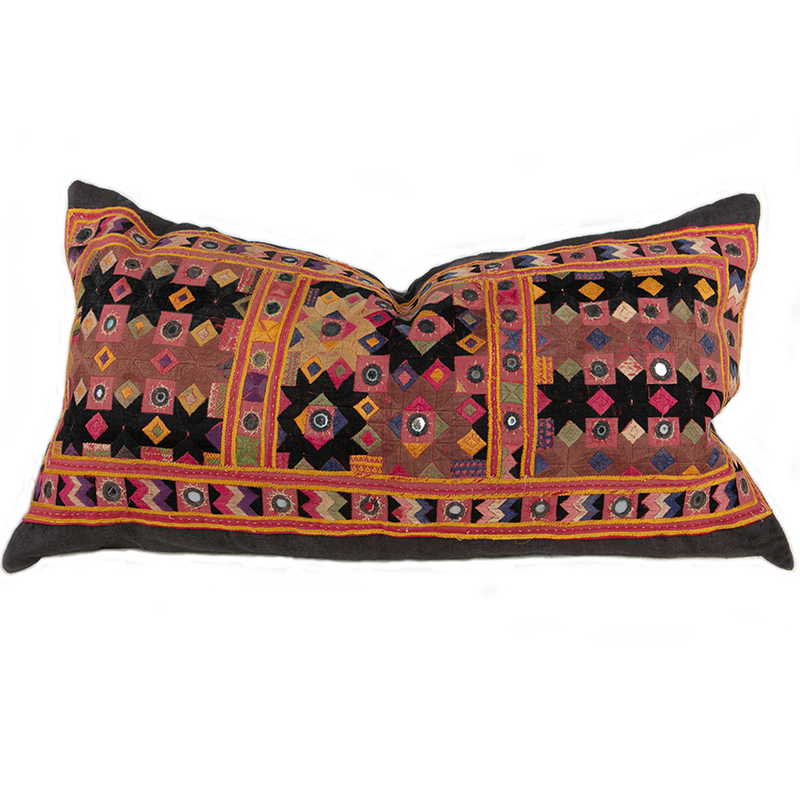 Tags: hand embroidered cushion cover, India, Kutch, New. 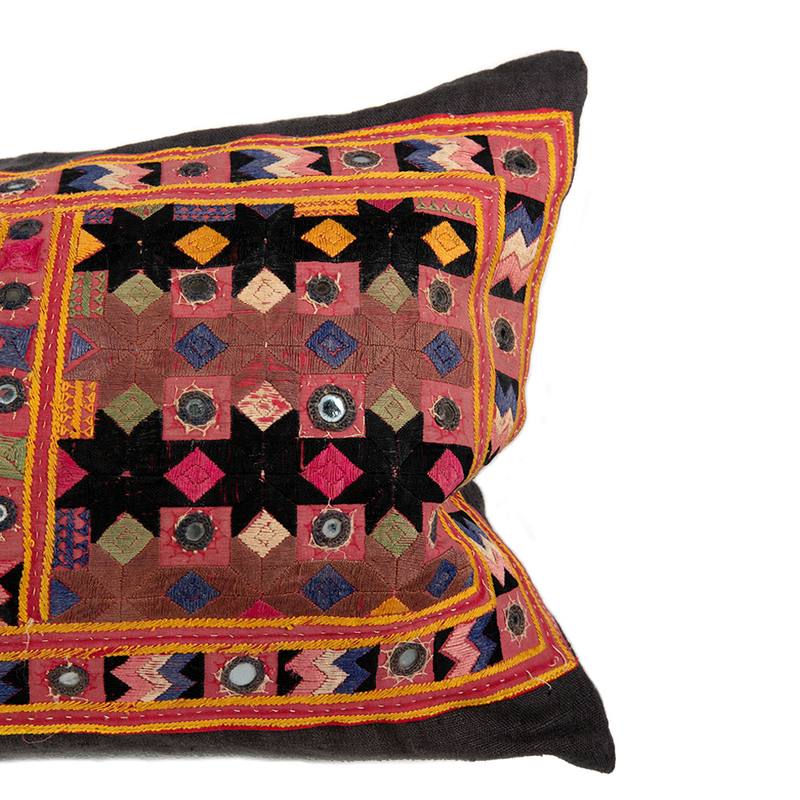 One-of-a-kind embroidered cushion cover featuring beautiful geometric embroidery and mirror-work from Kutch on slate grey French linen. Scroll over the images to see the delicate embroidery in more detail. This piece with its geometric floral patter in a mix of bold and subtle hues would work well as the centrepiece on a bed.